Does the divorce court award meal tickets for life? This week there is a campaign on two fronts to raise awareness of family law issues that might be perceived as unfair to one or other of a separated couple. The first is by Resolution, the national organisation of specialist family law solicitors. They are raising awareness of the millions of children subject to the effect of separation of unmarried parents and the parents lack of legal redress on property issues short of complex land and trust laws. The second is by The Times about the first issue but more specifically to campaign against their belief the court makes meal ticket for life orders in divorce. The financial remedies awarded by the court in divorce have been the subject of practice by the family solicitor at Northwich firm Stonehewer Moss for the past 25 years. He sets out some factors for and against the perception of a meal ticket for life and the consequences at present of the alternative of choosing to live together without a marriage certificate. Does the divorce court award meal tickets for life? Yes, but only if the circumstances are perceived by the court to make it a fair outcome. Cheshire family law solicitors Stonehewer Moss suggest that the Resolution campaign is ethically strong because it is about legal rights if intending to be in a formal relationship with another person. The constitution in this country is said to permit individuals to do as they like as long as it is not against the law. There is no law forbidding a person to live with another or, the other side of the coin, requiring you to marry if you intend to live in a relationship with another. There are laws about distribution of property ownership if a married couple if they divorce, there are not for those who live together with no marriage other than civil partners. The latter are therefore subject to the laws that apply without the distribution laws for married people. In essence, you own what you have provable title to or you prove property was held under a trust; from a lawyers point of view, difficult and therefore expensive. A man or woman that fears his nearest and dearest might in the future become what he or his newspaper describe as a meal ticket for life can therefore either not marry ( you would need to be roughly 80 years old to be old enough for this legal fact to have not existed when you married) or have a professionally drafted pre nuptial agreement signed that the circumstances at divorce do not make it unfair for the terms to be applied. Is it fair, though, for the non sharing non marrying person outside of a marriage to walk away with the assets at separation if legal title is not shared or a trust cannot be proven or affordable to prove? That is the obverse of The Times campaign and the point of the Resolution awareness week about cohabitation law. The pros and cons of these two campaigns can be viewed as depending on your perspective; are you the title owner or not. Here politics comes in to play. The reality is that on marriage the concept of title loosens. The marriage vows are reasonably clear if charmingly archaic. 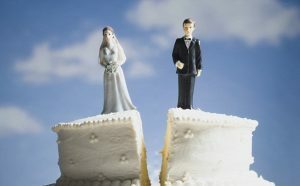 The divorce law is not an extension of the marriage vow, it is an acknowledgment by the law that marriage is special and coming out of it has consequences. There is an instinctual reaction to the headline “meal ticket for life” in a newspaper if your perspective is not that of a spouse with property law thoughts. One feels sympathy for the person being described as the recipient of that meal ticket; how did it end this way? That is the genius of the English divorce laws. The court has a discretion. Few spouses walk away these days with periodical payments for life ( the meal ticket) and a contest on the issue in court will probably have made it clear to the judge that the circumstances of that marriage made one spouse, for some reason not their fault, dependant on the income produced by the other. Mrs McCartney married a pop star and divorced after a few years; despite his vast wealth, the circumstances of that marriage had not brought about that relationship of dependency. If you enter the marriage and conduct your financial affairs determined not to make a dependant of one of you, the meal ticket for life scenario should not arise, but perhaps a short period of adjustment will be necessary. A change in the law requiring advice to be taken from a lawyer before marriage about pre nups and property distribution may be sensible; after all, before you go to court in divorce the rules require you to consider mediation. Today the perspective of the courts is one of fairness and observation of equality; the millions who decide not to marry change their perspective on separation if they failed to secure their rights in law beforehand. The fact these two campaigns are running at the same time is a stark reflection of the societal changes that are taking place. When the writer was a trainee solicitor in the early 90s he recalls a shudder he felt while a well known local bully of a divorce solicitor misapplied case law in support of his sense of vindication that a case called Hedges had brought an end to the meal ticket for life. The writers client was middle aged and had raised her family as her husband had agreed; the court disagreed with his solicitor and the writer has felt the use of the phrase “meal ticket for life” is repugnant to the sense of fairness of the court ever since. Don`t use the court to express views some might think are misogynistic or allow your solicitor to use your life as an opportunity to do so. Your family deserves better. Play nicely and share, as we should have been encouraged by our parents. Does the divorce court award meal tickets for life? The court seeks to make a fair order if you fail to come to an agreement; if you have not married, the court cannot currently make income orders in favour of your ex, which he or she might think unfair. This article was added on Wednesday, November 22nd, 2017 at 10:25 am and is categorised under Cheshire divorce solicitor, Cheshire News, Chester News, Divorce, divorce finances, Family finances, Family Law, Hartford divorce, Macclesfield News, northwich solicitors, prenups, Runcorn News, Warrington News, Widnes News, Winsford News. Both comments and pings are currently closed. Error: Error validating access token: Session has expired on Saturday, 09-Mar-19 13:12:58 PST. The current time is Thursday, 25-Apr-19 10:04:09 PDT.